Manage all your church and ministry events in one interface. 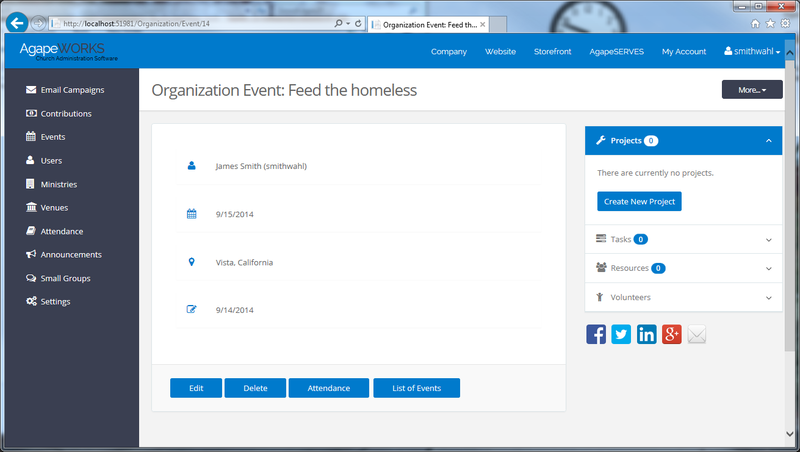 Use the Events section to crate and manage events in and outside your church. You can even use it to manage services and volunteers.